In my last letter, I wrote about the works in the first half of Sacred and Profane’s upcoming program of sacred music by German and Austrian master composers – Bach’s motet Sei Lob und Preis mit Ehren, BWV 231 and Brahms’ motet Warum ist das Licht gegeben dem Müseligen, Op. 74, No. 1. In this installment, I’ll let you into how I came to choose the other works that we’ll perform. I keep a running list of pieces that Sacred and Profane’s singers suggest for us to perform down the line. Several years ago, our baritone (and at one point, alto!) Gabe Fuson asked if we could sing Hugo Distler’spassion play Totentanz for choir and speakers. This dramatic work alternates aphorisms, sung by mixed choir, with dialogues between Death (spoken in our concert by ACT actor Paul Finocchiaro), and his many victims, who beg for mercy as they go to their fates. This beautiful piece (with wonderfully interesting music for the choir!) is entertaining, but also deeply dark. When I was a teenager, I worked at art house movie theaters in Palo Alto – maybe some of you remember the New Varsity Theater, the famed theater/restaurant/café and launching place of many of Windham Hill’s jazz and new age recording artists? I worked there! In 1988, we showed the Belgian film The Music Teacher. Although I’d grown up in a house with instrumental chamber music and some vocal music, I’d never really heard anything like this, and I bought and devoured the CD of the music in the film. The piece that moved me the most, and that I credit for igniting my passion for music, was Mahler’s orchestral lied Ich bin der Welt abhanden gekommen, masterfully sung by the Belgian baritone José van Dam. I listened to that CD, mostly that piece, until it was a skipping mess. I’ve never been the same. A few years ago, I heard a German chamber choir perform Clytus Gottwald’s arrangement of Ich bin der Welt for 16-part a cappella choir, and was awe-struck. I couldn’t believe that this rich, complex, and deeply moving piece could be reworked so perfectly for singers. As S&P has become more eager to tackle challenging works of the professional choral repertoire, I knew this piece had to be part of this concert, and part of this exciting season. I hope you are as moved by it as I am, and I hope to be able toconduct it through my sure-to-be tearing-up eyes! I hope you’ll have the opportunity to enjoy this remarkable music with us! I’m looking forward to seeing you at one of our concerts! Hear Director Seeman's recent interview with Jeffrey Freeman about these fabulous pieces on KDFC's State of the Arts! Sacred and Profane is hard at work preparing the second concert of our season celebrating 40 years of bringing beautiful choral music to Bay Area audiences. I wanted this season to focus on our title and our mission – celebrating the sacred and the profane. So while our December concert featured secular music of the winter night sky, our upcoming concert delves into sacred works by the German and Austrian masters Bach, Brahms, and Distler, plus an a cappella arrangement of a semi-sacred work for solo voice and orchestra by Mahler. Choral conferences are treasure troves of repertoire discovery for me, but it’s pretty rare that a conference will reveal a new work by J.S. Bach! However, a small California conductors’ gathering at a retreat outside of Yosemite in the summer of 2016 did just that. I was introduced to Bach’s motet Sei Lob und Preis mit Ehren, BWV 231, which had been sandwiched inside a larger work by Telemann for hundreds of years, and therefore assumed to also be by Telemann. When it was determined to be by Bach himself in the early 1980s, the world was given a new, beautiful motet for mixed choir. I can’t wait to bring you this exciting work that may be as unfamiliar to some of you as it was to me, with cellist Gretchen Claassen playing the continuo. Brahms was a great lover of the music of the Renaissance and the Baroque, particularly the music of J.S. Bach. As a young man, he was known to spend many hours in the extensive music library of his mentors and friends Robert and Clara Schumann, poring over the complete works of Bach. Later, he kept a treasure trove of music by earlier masters in his own library in Vienna.. The influence of Bach’s music can be heard no place more clearly than in Brahms’ motet Warum ist das Licht gegeben dem Müseligen, Op. 74, No. 1. It is structured just like many Bach cantatas and motets, containing four sections, polyphonic passages, and changes in texture and style, and closing with a homophonic harmonization of a hymn by Luther. I first heard this masterpiece in my graduate studies at the University of Iowa, and fell head-over-heels in love with the work. I brought it into a Sacred and Profane concert in 2012, and I’m excited to share it with you again. In my next letter to you, I’ll tell you about my relationship to Mahler’s Ich bin der Welt abhanden gekommen and Hugo Distler’s Totentanz. I hope to see you at our concerts! What a wonderful experience to sing our secular wintertime concert of music about the evening, darkness, the night sky, and the northern lights last Saturday in Alameda! We can’t wait to present the concert this weekend – Saturday night in Berkeley and Sunday afternoon in San Francisco. In my last letter, I talked about the first half of our program, and the focus on evening and solitude. The second half of our concert delves into the starry night and the Northern Lights: the magical Aurora Borealis. I’ve never had the opportunity to see this phenomenon, but it’s always been a dream of mine. Stars have always been an inspiration for composers, as can be heard in our performance of Monteverdi’s brilliant madrigal, Sfogava con le Stelle. Lately, a number of composers have been inspired by the night sky and the Northern Lights. I actually had to eliminate several lovely settings of Sara Teasdale’s poems – their frequent reference to being alone in nature at night, gazing at the stars, and finding solace in solitude has spurred many recent beautiful choral works. I settled on two for these performances – Winter Stars by the recently departed Steven Stucky, an important composer of mostly instrumental music from Ithica, New York; and Stars by the Young Latvian composer Ēriks Ešenvalds. I first heard Stars at the American Choral Director’s Association 2015 convention in Salt Lake City. I loved the piece for it’s emotional immediacy and it’s beautiful use of water-tuned wineglasses (many of you know that I play a wineglass instrument that I made). Since then, Ešenvalds’ music has become a mainstay of concert programming across the United States. I chose two other works by Ešenvalds’ for our concert – Northern Lights and Rivers of Light, two pieces that both incorporate folksong references to the aurora borealis as well as historic accounts written by early arctic explorers. I’ve been excited by a new trend to set non-poetic texts such as historical documents and speeches in vocal music and this is among the first times that Sacred and Profane has delved into this expressive form. I hope you’ll have the opportunity to enjoy this remarkable music with us! I’ve always tried to represent diverse experiences in our holiday concerts. At times, we’ve performed music from multiple religious persuasions, or presented concerts that unify the pieces through elements such as light or a certain composer. In this season celebrating Sacred and Profane’s 40th year of bringing beautiful choral music to Bay Area audiences, I wanted to craft a season focused on our title and our mission – Sacred and Profane. So this concert focuses on the profane – not necessarily the bawdy side of profane, but the secular and non-religious. I’ve always felt that the wintertime is a time to nestle in, to contemplate life’s depths. Sure, it’s a time for celebration, but it’s also a time for solitude, quite reflection, spiritual depth. Ours is a secular concert about the evening and the night, about the starry sky and the Northern Lights. The first half of our concert will begin with music of the evening – two pieces titled Abendständchen (Evening Serenade), but musical settings of different poems by two German masters – Brahms and Mendelssohn. Several of the singers have told me that the Brahms is one of their go-to pieces in all of choral repertoire. 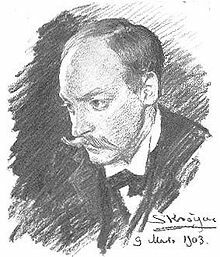 We’ll also sing one of my favorite pieces by the mid-20th century Swedish folk-style lyricist Hugo Alfvén: Aftonen, with it’s dreamy humming after each verse. Saint-Saëns’ Calmes des nuit illustrates our theme perfectly, with the composer and poet (both Saint-Saëns) denouncing those who love the city life as shallow, preferring the solitude of nature as the light is waning. I was fortunate to be present for Karin Rehnqvist’s rehearsal of Sånger ur jorden (Songs of the Earth) with Adolf Fredrik’s Girls Chorus just before they toured with that work in China in 1998. I’ve programmed it several times since, and I love how the work, like much of her music, gives singers an emotional experience and message they are rarely allowed. In this piece, the young women are encouraged not to hide from the darkness and difficulties life brings. I was happy to find Wintertide, a brand-new work by the popular Norwegian composer Ola Gjeilo with a text by Anthony Silvestri (the same poet of Eric Whitacre’s Leonardo Dreams of His Flying Machine, which we sang in May 2016). This work, an arrangement of a popular Norwegian Christmas tune, perfectly completes the first half of our concert about the spiritual depth and personal contemplation found in the winter evening. In my next letter, I’ll talk about music of the stars, the Northern Lights, and the music of the Latvian composer Ēriks Ešenvalds. Join Sacred and Profane Chamber Chorus THIS WEEKEND for the final installment of Waxing Poetic: A Celebration of Poetry. We'll be exploring more settings of poetry and celebrating the 100th birthday of iconoclastic composer Lou Harrison. We're excited to be collaborating with Thingamajigs to present the world premiere of a brand-new work by Edward Schocker in conjunction with their Harrison 100/Thingamajigs 20celebration. In Love with Language also features works by Jan Sandström, Rudi Tas, and our very own Will Raymer! This program is not to be missed! In the mid-1990s the University of California, Santa Cruz music department, where I completed my bachelor’s and master’s degrees, was dedicated to the music of our beloved neighbor, Lou Harrison, who lived just down the road in Aptos. As the celebrated composer in our midst, Lou shared more than just proximity with UCSC. He shared his vision of what it means to be a musician and a human being with the faculty, and thus with the students, who eagerly absorbed his all-embracing approach to musical identity. Lou was a scholar of several East Asian music traditions, including Indonesian gamelan, and also studied medieval chant, polyrhythmic music, pure intonation systems, Buddhist philosophy, the Esperanto language, and many other ideas with relish. (Most of my UCSC professors similarly had multiple areas of specialty – several had published research in Western classical music, in ethnomusicology, and had produced well-reviewed recordings. It was a heady place to study.) Two of my professors, Leta Miller and Fredric Lieberman, published a book about Lou shortly after I left UCSC, in which they referred to him not as “Mr. Harrison,” but “Lou,” in honor of his informal, caring nature. My conducting mentor, Nicole Paiement, also edited a number of Lou’s scores for publication and produced several recordings. Lou was a kind man who resembled Santa Claus, and it was always a thrill to see him at concerts and to hear his music. During my studies at the University of Iowa, I enrolled in a course on “music since 1945.” Our end-of-semester project was to write a paper on a work by a living composer with whom we could arrange an interview. Most of my classmates wrote papers on peer-composers whom they knew from their master’s programs, but I thought I might be able to write a paper on Lou’s great work, La Koro Sutro. La Koro Sutro is a setting of an Esperanto translation of the Mahayana Buddhist text, the “Heart Sutra,” for choir and American Gamelan, a gamelan-like percussion ensemble that Lou and his long-time partner Bill Colvig built. I contacted Lou’s assistant, who was a friend of a close friend, to see if an interview might be arranged. Lou asked to see my questions before agreeing to speak to me, and after he received them graciously offered an interview. I asked him questions about his Buddhist practice and commitment to social justice and about his musical proclivities and influences. When I returned to teach at UCSC in 2000 as a teacher, I discovered that the conductor I was replacing had coincidentally reserved the American Gamelan for a performance of La Koro Sutro in the spring of 2001. So, after extensive study of the work and my interview with Lou, I was able to conduct a performance of the work with the UCSC Concert Choir. Lou was still alive at the time, but due to poor health was unable to attend the performances. I still recall the moment that I learned of his sudden death in 2003, and my deep sadness at his loss. In May 2012, Sacred and Profane collaborated in two performances of La Koro Sutro with the University of San Francisco University Choir, the UC Berkeley Chamber Singers, and the William Winant Percussion Group. Several of our singers will sing the work again this coming May 20th under the direction of Nicole Paiement with Other Minds. 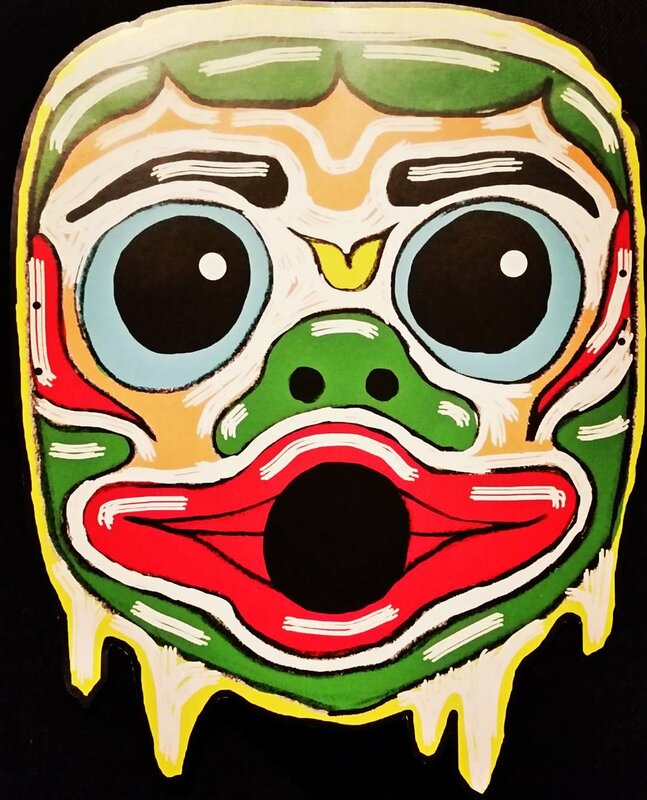 Meanwhile, last year, I was contacted by Edward Schocker, a local composer, improvisational musician, and director of Thingamajigs, a music collective that explores instrument building and holds music camps for kids. Edward and I had worked together several years ago when he sang with the St Ignatius Church Choir in San Francisco and we remained in touch through the East Bay avant garde music community. He explained that Thingamajigs was looking to create several works to partner with Lou’s compositions in celebration of Lou’s centenary on May 14, 2014, and wondered if Sacred and Profane might be interested in participating. Lou had been a close mentor of Edward’s at Mills College, where he received his masters in composition, and had encouraged him to create Thingamajigs. I agreed to the collaboration and chose Lou’s Mass for St Cecilia’s Day, a work of similar musical language to La Koro Sutro written for unison choir, harp, hand percussion, and unspecified drone instruments. Edward has composed a setting of Lou’s romantic poem for his partner Bill, titled On Bill's Return, for the same instrumental requirements as the Mass. The drone for both pieces will be played on my wineglass organ, an instrument that is making its way into Sacred and Profane’s concerts with increased regularity (expect to see it again in December 2017). I’m very happy that we’ll be presenting both of these wonderful works on Lou’s 100th birthday, a fitting way to celebrate the life and work of a truly delightful man and an important contributor to the musical fabric of the 20th century. You can hear both of these works, plus our performances of beautiful settings of 19th and 20thcentury poets, at our upcoming concerts on May 13th in Berkeley and May 14th in San Francisco! I look forward to seeing you there! Our upcoming concerts wrap up our season focused on poetry and the poets. The first half of our May concert program brings us back to English poetry, where we began our season this past December. That concert’s “A Poet’s Christmas” featured mostly settings of twentieth-century English poets such as W.H. Auden and Edith Sitwell. In this program, we go further back to the nineteenth-century, with English poets like William Blake, Christina Rossetti, and William Wordsworth. Sacred and Profane first sang Rudi Tas’ Flowers of Life in March of 2014 in our concert of music from the Netherlands. I cheated a bit in including Tas’ work in that concert, since he is actually from Belgium, but I loved this fanciful cycle of Romantic English poems, each of which celebrates the experience of joy in a different manner. The choir enjoyed singing these pieces with their rich harmonic language so much that I knew that I’d bring the cycle back into our repertoire in the not-too-distant future. We especially enjoy whispering “Jenny… Jenn… Jenn,” in honor of our own soprano Jenn Ying at the end of the final work. In another connection with the first concert in our season, we will sing another setting of one of our own singers’ compositions. After our December 2014 concert, I received an audition request from James Tecuatl-Lee, a recent graduate of Dartmouth University’s music department who had moved to San Francisco and had attended our recent concert of holiday music from Eastern Europe. In his excellent audition, James revealed that he was a composer, and that his friend and Dartmouth classmate, Will Raymer, had also moved to San Francisco and was looking for a good choir to join. Both James and Will have been valued singers of the ensemble ever since. S&P premiered James’ delightful Two Crittersongs for the Wintertime in our December 2016 concert. In our upcoming program, we’re thrilled to present Will’s Settings from Songs of Experience, settings of texts of William Blake’s collection of poems. I had originally intended to present additional settings of Tomas Tranströmer’s poems, but I couldn’t put Will’s charming settings down, so I gave into the “will” of the heart and ear, and decided to present these works on this program instead. Speaking of Tranströmer… this much-loved Swedish poet won the 2011 Nobel Prize in Literature, just four years prior to his death in 2015. From all accounts, Tranströmer was a kind and charming man. My mother loved meeting him when she worked for the Swedish Consulate in San Francisco, and in the summer of 2015 I heard wonderful stories about his warmth and humor from the Beat poetry scholar Anne Charters. With her husband, the blues scholar Sam Charters, Anne had shared a close friendship with Tomas and his wife Monica for many years after the Charters moved to Sweden in the late 1960s. Indeed, Sam passed away in Sweden a mere two days following Tomas’ death the previous spring, and the two recent widows supported each other in their time of loss. In that same summer, I heard several choral settings of texts by the recently departed Tranströmer in the beautiful gardens of another great Swedish poet, Erik Axel Karlfeldt, sung by Gustaf Sjökvist’s Chamber Choir at the Music Vid Siljan music festival in the idyllic Swedish province of Dalarna. I was most struck by Jan Sandström’s Landskap med solar (Landscape with the sun), and began to search for the score to this newly published work. S&P has frequently sung works by the far-north-of-Sweden-based Sandström, most recently in our May 2016 concert with his Biegga Luohte: Joik till fjällvinden, a phenomenal work that features the joik, the vocal chant of the Saami people of the Arctic region of Scandinavia. I’m very happy to continue to treat our audiences to the works of this fabulous Swedish composer. In my next letter to you, I’ll tell you about the second half our upcoming concert and my relationship with the music of Lou Harrison. You can hear all these works plus our dedication to Lou Harrison at our upcoming concerts on May 13th in Berkeley and May 14th in San Francisco! I look forward to seeing you there! In my last letter to you, I talked about the women composers that we’re featuring in our upcoming concerts of Shakespeare settings on March 4th and 5th. In this letter, I thought I’d tell you a bit about my relationship to the other choral cycles we’re singing. When I choose music for S&P concerts, I’m always balancing many elements. I like a concert to have a cohesive message – a theme, or something that connects the works. But it’s also nice to give a concert some variety, so the experience doesn’t become too static. The risk there is “potpourri programming” – a little bit of this, a little bit of that. Choral cycles – groups of several pieces on a theme by a single composer – can often provide the right mixture of theme and variety. So for this concert, I chose to return to four cycles of Shakespeare songs. I wrote about Amy Beach’s Three Shakespeare Songs for women’s voices in my previous letter, so I’ll turn to the other three cycles we’re singing here. 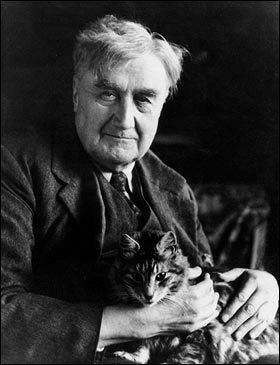 Ralph Vaughan Williams has been making his way into S&P’s repertoire more frequently lately, most recently in our March 2016 performance of his phenomenal Mass in G Minor. We sang his Three Shakespeare Songs in May 2011, and it’s been great to revisit them again. Some of Vaughan Williams’ music has a rather buttoned-down English grandeur, and I mistakenly thought that reflected his character. I was surprised to learn that he led a rather Bohemian life, interested in spirituality and adventurous artistic expression. I think his Three Shakespeare Songs reflect this – they are beautiful, yet surprising in their harmonic turns and expressive content. Like the Mass, they were written for a professional choir, and we’ve enjoyed digging into the subtleties of the music. The Finnish composer Jaako Mäntyjärvi has become increasingly popular lately. Chanticleer recently premiered two new works by him, and I hear his music in concerts and festivals regularly now. He is a genuinely funny man. He could easily have a second career as a comedian (third, actually – he is also a professional translator). His music often reflects his gift for humor, and his Four Shakespeare Songs skillfully demonstrate his goofy disposition, as well as his mastery of the choral instrument. You’ll love hearing S&P’s singers take on witches’ voices when we sing “Double Double, Toil and Trouble” from Macbeth. I was first introduced to the music of Swiss composer Frank Martin in the summer of 1998, when I enrolled in a week-long summer conducting course taught by the great Swedish choral conductor Eric Ericson. The course was held the summer before I began my doctoral studies at the University of Iowa, and I cut my teeth as a choral conductor there. Ericson, in his bottle-thick glasses, was quite a character – who knew he was a fabulous jazz piano player? And that he went everywhere with several recording devices that he collected? But he was also one of the great masters of the art of choral conducting. Although he was hard on me, I valued every minute with him, and still remember the week vividly. In addition to many other wonderful works Ericson included in our repertoire for the course -- some of which have made their way onto S&P programs -- we learned the entire Martin cycle of Ariel’s texts from The Tempest, Songs of Ariel, for a cappella chamber choir. This is one of two works that Martin wrote for a cappella choir, the other being his Mass for Double Choir. Together, these make the top of my list of desert island music -- so when the Zombie Apocalypse hits, you’ll find me in some remote place swooning to these pieces. I programmed them in an S&P concert way back in May of 2006, but our performance of these brilliant works is much stronger now. I’m amazed at the quality the group is bringing to them. I’m thrilled and honored to be working with a choir that sings this challenging and deeply moving repertoire with such expression and skill. I can’t wait to share them with you at our concerts in March! The S&P singers are back in the rehearsal room, preparing to bring you another beautiful concert on March 4th and 5th! I want to give you some personal notes on how this program came about, in addition to the formal program notes that you’ll see at the concerts. When we decided to focus our 2016-2017 concert on poets and poetry, it seemed only natural that we should dedicate a concert to the poet who has probably elicited more choral settings than any other – the great Bard, William Shakespeare. The problem for me, as selector-of-repertoire-in-chief, was choosing works for only one concert! There are so many wonderful Shakespeare choral settings, and my research kept leading me to new scores, new compilations, new recordings. In the end, I decided to zero in on two themes – works by women composers, and choral cycles. In this email, I’ll tell you about the compositions by women that we’ll be performing; you’ll hear from me later about the cycles on our program, which include music by the Brit Ralph Vaughan Williams, the witty Finnish composer Jaako Mäntyjärvi, and the Swiss master Frank Martin. It feels odd that in 2017 we would still need to draw attention to music by women, doesn’t it? But when you consider that the New York Metropolitan Opera’s 2016 production of Finnish composer Kaija Saariaho’s L’Amour de Loin was the first opera by a woman the Met had produced since their 1903 production of Ethel Smyth’s Der Wald, it becomes clear that we still need to champion women’s music to make sure excellent women composers receive equal (or any) attention. It took 113 years for the country’s most important opera house to present two works by women! Personally, I don’t believe that is an oversight, but rather a reflection of establishment prejudice. And, by the way, our orchestras fare little better. According to a survey of the twenty-two largest American orchestras, women composers accounted for only 1.8% of the total pieces performed in the 2014-2015 concert season. It’s perhaps telling that when I did a Google search for “women composers” today, the photo that came up first for the composer and pianist Clara Wieck Schumann was not actually of Clara, but of her husband Robert. Recognizing and celebrating women composers has always been an area of interest to me. I wrote my master’s thesis at UC Santa Cruz in 1998 on Swedish music for women’s choir, and focused a good deal on music by women. Moreover, as I’ve written about before, my doctoral thesis at University of Iowa in 2002 was on the feminist musical aesthetic of the music of Karin Rehnqvist, the Swedish composer whose music you have heard in several Sacred and Profane concerts. In my research for that thesis, I delved into the history of women composers and the parallel musical language they have developed alongside their male counterparts. I’ve gotten lots of questions about what makes music “feminist.” A quick response is that like all art, music reflects the maker’s entire self, and gender and sexuality are essential to our experience of the world. The music we write will reveal that experience in various subtle and sometimes not-so-subtle ways. But rather than wax further on that for you, let me tell you a bit about the women we will be featuring in our upcoming concert. Our concert will demonstrate that the dearth of opportunities to hear music composed by women is a result of pure prejudice, not the lack of beautiful music. Fanny Hensel composed a large repertoire of wonderful music for a cappella choir to be performed at her parents’ Sunday afternoon concert series in Berlin. These afternoon musical salons were the “in” place for intellectual elites of Berlin to be, and since it was considered inappropriate for women to perform in public venues, salons were also socially acceptable venues for women in music to thrive in as composers and performers. Like her brother Felix Mendelssohn, Fanny was known as a great music prodigy, but she was discouraged by her brother from publishing her works. Toward the end of her life, however, she did publish a cycle of choral works called Gartenlieder, and S&P has performed a number of those works in recent years. Unter des Laubdachs Hut, her setting of a translation of Under the Greenwood Tree, is a blast. It takes off like lightning and keeps the choir gasping for breath to the end. Rebecca Clarke was a bi-coastal, English-American composer whose music is beginning to receive some long-overdue notice. She composed several choral settings, always choosing high-quality poetry by poets like Keats, Shelley, and Tennyson. Her A Lover’s Dirge is a rich, complex work that often juxtaposes clashing pitches and then merges the choir back together in a sonorous result. We’ve been really enjoying mastering the complexity of her score in rehearsal. Amy Beach was a prominent composer, pianist, music educator, and advocate for women composers in Boston in the late 19th and early 20th centuries. She toured the US and Europe extensively as a pianist, and her large choral, orchestral, and chamber works were performed by orchestras across the country, including here in San Francisco. I have always loved Beach’s music, and I’m enjoying returning to her Three Shakespeare Songs for women’s voices after programming them with my university choir a while back. The pieces display her mastery of harmony, which is at the same time accessible and brilliantly crafted. These are truly delightful pieces, and S&P’s women are singing them beautifully. Thanks for reading, and I hope to see you at our concerts in March! Sacred and Profane's mission includes a commitment to performing new works and premieres. A number of years ago we held a commission competition. We went on to sing the winning work -- Italia Mia, a setting of Petrarch's poem by Loretta Notarseschi -- in two programs in the following years. We have performed many other new works by composers, but we haven't commissioned another work until now. A couple of years ago, James Tecuatl-Lee sang a beautiful audition for me and joined S&P's baritone section. Little did I know when bringing him into the choir that he was a gifted up-and-coming composer! In the couple of years since James moved to the Bay Area after graduating from Dartmouth University in New Hampshire, many of his pieces have been performed, including a fabulous work for the San Francisco Choral Artists that was premiered in their "Prayers from the Ark" program of Jewish music presented in March of this year. When we heard about the East Bay Community Foundation's matching grant for new works by local artists, the Sacred and Profane board jumped on the opportunity to apply for support to commission a new work by James for our December 2016 concert. We were thrilled to receive the challenge grant, and S&P’s donors – including many of you! -- generously stepped up to help us match the grant. James sent me updates throughout the summer as his work took shape. Being a great lover of animals (as those of you who heard last season's concerts dedicated to the creatures of the world know), I was delighted when James chose poems from Kenneth Grahame's Wind in the Willows and by poet Jane Johnston Schoolcraft that focus on animals in wintertime. The ensuing cycle, titled Two Crittersongs for the Wintertime, includes two delightful works. "Carol of the Field Mice” is a joyous Christmas Carol, with a rich polyphony of sweeping scales that weave against each other in a complex harmonic exclamation. “Song of Okogis” is a surprising theatrical work that utilizes costuming, space, unusual percussion, and extended vocal technique to tell the story of a frog fighting against the oppressive cold of wintertime. We've been having a blast in rehearsals with these pieces, and we're thrilled to be part of this exciting young composer's launch into the world! We hope you'll come out to hear these exciting pieces, in addition to Karin Rehnqvist's When I close my eyes, I dream of peace and our recreation of the BBC's 1944 Christmas Eve Broadcast, A Poet's Christmas! Finally, in the name of the Giving Tuesday tradition, please consider making a donation to Sacred & Profane this year. In addition to helping us with all of the financial needs, your tax-deductable contribution will enable us to continue commissioning work from local young composers. If you've been coming to hear our concerts for a while, you've probably had the chance to hear us sing the music of Swedish composer Karin Rehnqvist. I've been a devotee of Karin's for many years, and it's been wonderful to delve into her unique and very personal musical language. I was first introduced to Karin's music in 1995 when I was in Sweden conducting research for my master's thesis on Swedish music for women's choir. People kept telling me about a young composer who had written several works for teenage girls’ and women's voices that challenged traditional notions of femininity. When I finally heard her music, I discovered a treasure trove of choral works that seemed to fall into neither of Sweden's standard categories of choral music. Neither lyrical and tonal, nor experimental and highly challenging, Karin's music was instead characterized by a concentrated minimalism, in which the intensity of the score grew out a focus on repetition of motives often based on Swedish folk idiom, as well as the use of kulning, a high-pitched call traditionally used by women in the mountainous regions while tending cattle. Here was a fiercely unique composer who embraced her Swedish roots and her intense emotions, and championed strong, working women. I also found in Karin a composer with a fierce sense of humor and a commitment to the right of women and children to express their own full range of emotions, from joy to sadness and from fear to courage. After writing a thesis chapter on her first major choral composition, Davids nimm -- a work for three women soloists and four-part women's choir -- and performing the premiere of the choral version of that work with my women’s choir at UC Santa Cruz, I was hooked. A few years later, while looking for a topic for my doctoral thesis at the University of Iowa, I considered writing generally about choral music by Swedish women composers. But in my research I kept coming back to Karin's music, which continued to strike me as some of the most deeply personal, moving, and significant repertoire I had encountered. I approached her for permission to focus on her music in my thesis, and travelled to Sweden several times to meet with her and discuss her music and process. In the summer of 1998, I accompanied her to a rehearsal with Bo Johansson's girls' choir at Adolf Fredrik's Music School in Stockholm, one of Sweden's premier elementary music schools. I was honored to be present for their first rehearsal of Karin's I himmelen (In Heaven's Halls), a powerful work that she wrote for Johanssons' choir to sing during their tour of China that summer. I himmelen has gone on to be Karin's best known and most frequently performed work, sung by choirs around the world. It's the piece I most frequently recommend to fellow conductors who are curious about her music. My thesis focused on Rehnqvist's use of feminist musical language: her tendency to write music that calls for women to sing in a powerful manner and men to sing in a warm manner, her frequent choice of feminist texts, and other musical characteristics. I often tell people struggling to finish that final leg of their Ph.D -- their dissertation -- to do as I did. Choose a topic that you will be in love with the entire time, even after you finish researching and writing. I feel fortunate to have found the perfect subject for me. I continue to be thrilled by Karin's music: its sound, its message, and the way it embraces much that's important to me personally – my own commitment to feminism and identity as a strong working woman, my love of Swedish culture, and my belief that we live complex lives rich with contradictions. I have been equally fortunate to find a home with Sacred and Profane, whose board and singers have adopted my commitment to Karin's music. We have sung her music in almost every season since I joined the S&P family in 2004. In addition, it's been exciting to see the international music community champion her works. She has won multiple prestigious awards and commissions, and has recently completed an opera for the Swedish Royal Opera in Stockholm (I can't wait to travel to Sweden to see it when it's produced!). When Karin was in San Francisco last year to hear the Kronos Quartet play All Those Strings! (a work that they commissioned her to write for string quartet and the Finnish kantele, a zither-like instrument), we spent a day driving around the East Bay with her husband Hans Persson. She showed me a new choral work that she had recently completed. Following several years of hard work on her opera and years of commissions, she wanted to write a piece simply for herself. She had heard the phrase "When I sleep, I dream of peace," spoken by an eleven-year-old Croatian boy during the Yugoslav Wars, and was struck by this articulation of a dream that we all share. She recorded her composition students from several countries speaking the text in their own language, and composed a work using those texts for mixed choir. Here is a composer who has embraced her own Swedish folk music idiom in her music, now incorporating an international palette of musical traditions – Russian, Arabic, African, and others – into a cry for appreciation of the richness of culture and the need to protect those cultures. In an age where many of our world's cultural and artistic treasures are being destroyed, I can think of no more important dream and call to action. I was deeply honored that Karin asked Sacred and Profane to present the U.S. premiere of When I dream, and we're excited to sing the work for you in our upcoming concerts. Please come and hear this powerful piece! And a heads up: we are in discussions with Karin about a commission for our 40th anniversary concert in May 2017!